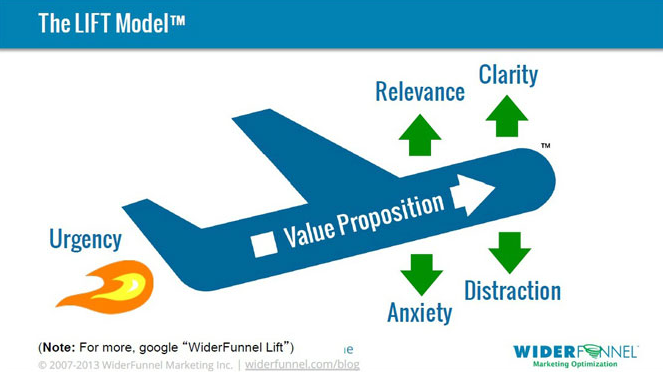 Urgency can be a catalyst for improving the conversion rate if supported by the other 5 elements of the Widerfunnel Lift model. Urgency works because it creates a sense of scarcity which people are drawn to because they don’t want to feel regret from missing out on an offer. 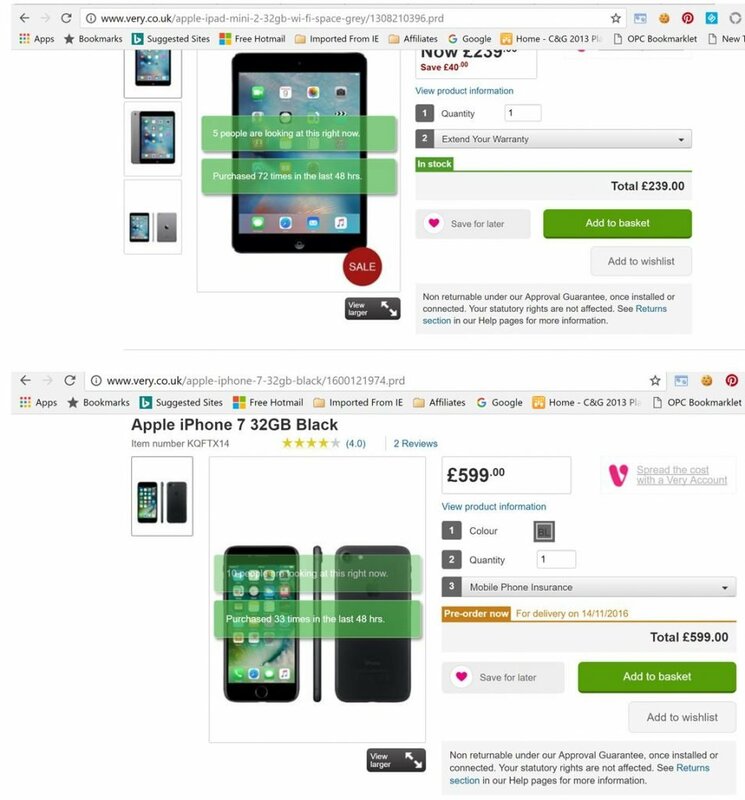 Very.co.uk creates a sense of urgency on their product pages by showing how many other people are currently looking at the product and how many have purchased the item in the last 48 hours.